Padel is considered a scaled-down version of tennis. Padel is a racquet sport that is becoming increasingly popular. It has gained rapid acceptance due to its simplicity and similarities to other popular racket sports. The game of padel is always a doubles game, using mainly tennis rules and scoring with some key adaptations such as an underhand serve. The game is played in an enclosed structure and the rules allow for the use of the back wall and sidewalls resulting in longer rallies. The area required for a padel court is a little over a third of the size required for a tennis court having a playing surface of only 20m x 10m. 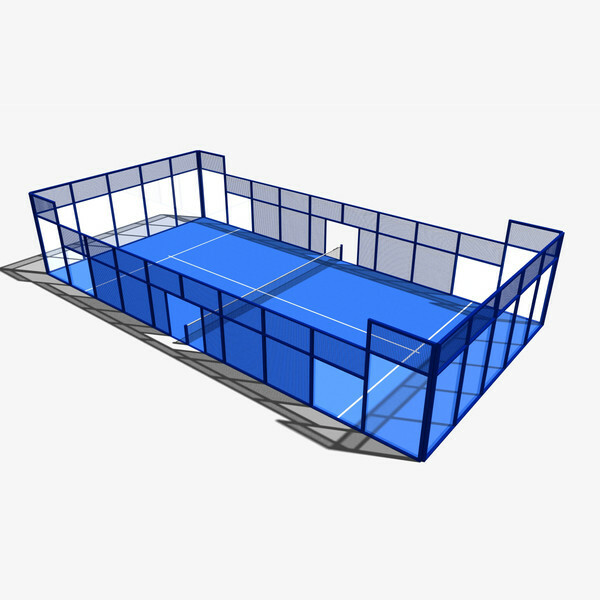 As a result, from the first time on court, novice padel players of all ages and racquet skills can enjoy a well-paced game with plenty of rallies.The Padel court The padel court is rectangular in shape, with a dimension of 10m wide by 20m long. It is divided in the middle by a net. The court is enclosed entirely at the back (the width of the court) and partially on the sides (4m in length) with solid walls. The height of the back wall and sidewalls is 3m. The balance of the court is enclosed with mesh wire that is also 3m high. The racquet is solid being made mostly from light composite materials. The surface is perforated to lighten the racquet and to allow for airflow. The face of the racquet is relatively large measuring 26cm X 29cm (10in x 12in) and the overall length is 45cm (18in). 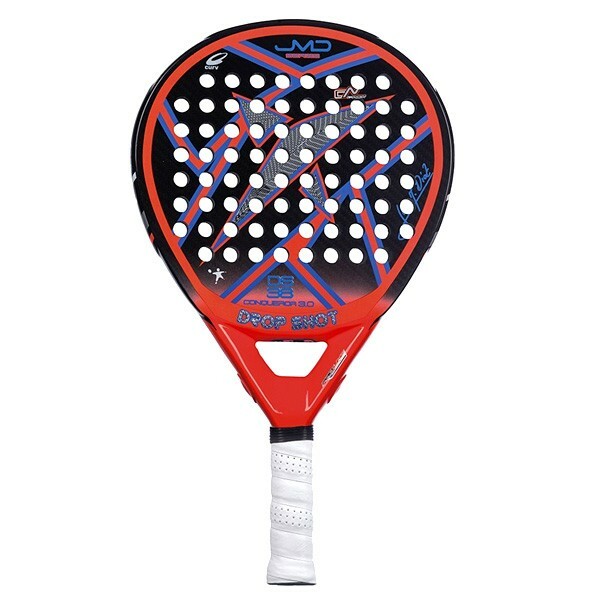 This shorter racquet is much easier to control than a longer stringed tennis style racquet. A padel court is slightly smaller than the boundary area of a singles tennis court. 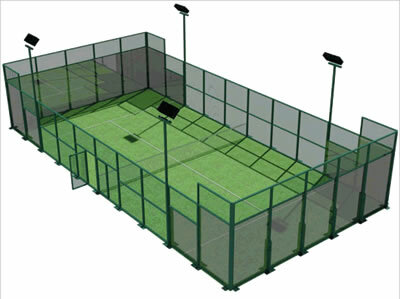 Two official size padel courts can easily be constructed within the area of a full size tennis court. 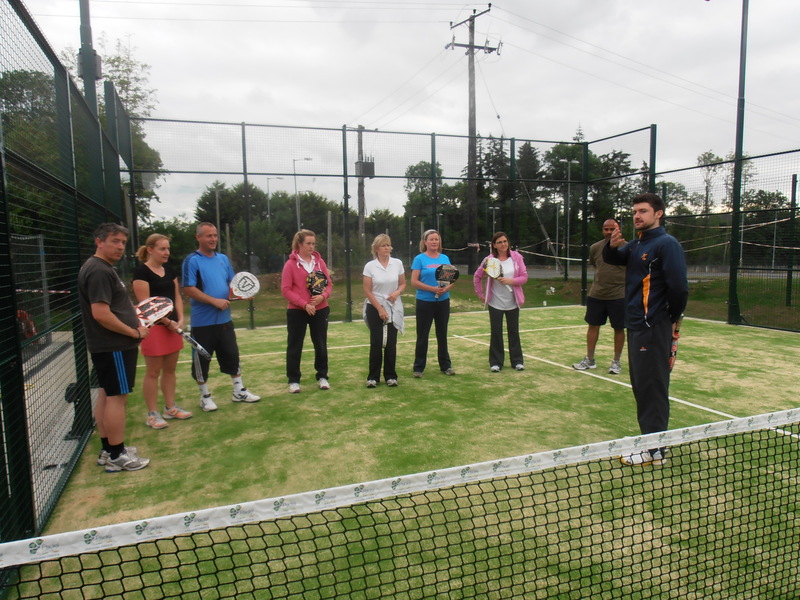 Courts can be built either outdoors or indoors with the same considerations as a tennis court. The walls of a padel court are typically constructed using glass, however cinder blocks or plywood will also work. Chain link fence is also required primarily for the side walls. 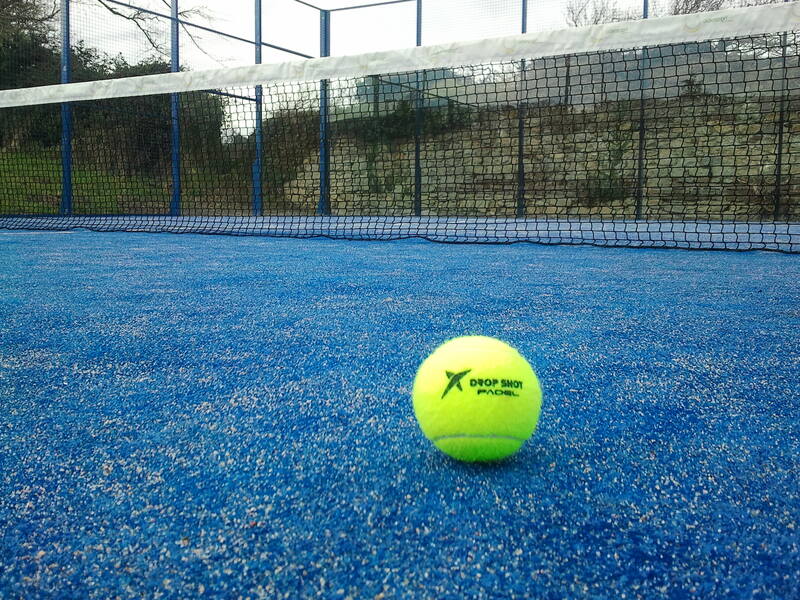 Padel courts are surfaced with the same material as a tennis court and require a tennis net.The cost to construct a padel court varies based on the materials used. Clubs replacing an existing tennis court will find that the cost of installing two padel courts is lower than those to build a new tennis court. 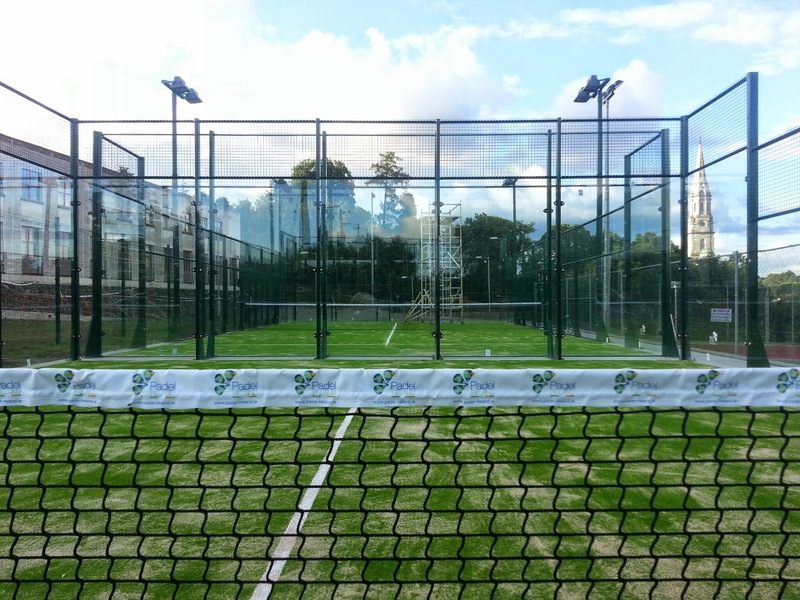 One of the primary reasons that padel has grown so quickly throughout South America and Europe is the low capital cost to build courts. The playing surface of the court should be porous and can be made of concrete, cement, synthetic material or artificial grass as long as it allows the regular bounce of the ball and avoids accumulation of water. The FIP states that the playing surface should also be either green, blue or terracotta. There is an unusual rule in padel that permits a player to leave the enclosed court through an ‘access point’ in order to legally return a ball. (See RULE 15). As a result there are standard guidelines that determine the dimensions and location of the access points to the court. In particular, there may be 1 or 2 entrances on each side, with or without a door and they should be symmetric to the centre. For more details see the FIP website. Any lighting should be situated outside the courts and should be at least 6 metres above the playing surface.